The human eye is a complex yet important organ of our body filled with nerves, a lens, liquid and more. Various major components work simultaneously to capture and transmit the image to the occipital lobe of the brain via optic nerves. A functional abnormality in any of the eye’s prime components may cause serious eye problems; which if ignored, may progressively lead to vision loss. While the conventional treatment approach is not successful in reversing the damage to the tissue, however, with great progress in the field of stem cells, it is now possible to bring back the normal vision using stem cells isolated from your own tissues such as bone marrow or adipose tissues which can be channelized to be corneal cells, photoreceptor cells, optic nerves, muscle cells etc. in the eye to regain normal function back. Optic Nerve Atrophy is an umbrella term, characterized by a group of conditions, which limit the proper functioning of the optic nerve; i.e. transmission of accurate information about visual acuity. The optic nerve is the central oval, pinkish area of the retina and is vitally important for connecting retina of the eye with the occipital lobe, through networking of more than one million nerves and blood vessels. The occipital lobe is the part of Central Nervous System, responsible for decoding vision. Thus, damage to the optic nerve can severely affect central vision, peripheral vision and colour vision of a person. Optic nerve atrophy can be characterized with a mild to severe damage to the optic nerve, due to a number of reasons, like trauma, toxins, deficiencies, inflammation, infection and/or congenital complications. Through conventionally available options, there is no definitive cure to reverse atrophy of the optic nerve; however, some rehabilitative approach can be incorporated, like the use of magnifying spectacles, spectacles with corrective refractive errors, regularizing pressure on the eye through the use of eyedrops, etc. Moreover, a child with ONA can have severe visual impairment; thus, needs a specialized learning tool, through cooperation between medical specialists, school teachers and educational specialists. The macula is the most sensitive part of the retina; located at the back of the eye and is made up of a number of light-sensitive cells called as photoreceptors. These cells are centrally responsible for crystal clear vision. 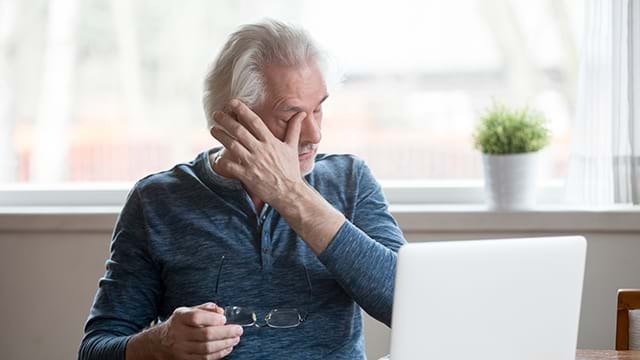 Due to the number of risk factors such as age, family history and smoking, these cells begin to die causing progressive degeneration of the macula. When the macula is damaged; the center of your field of view may appear blurry, distorted or dark. The disease is mainly classified into two forms. 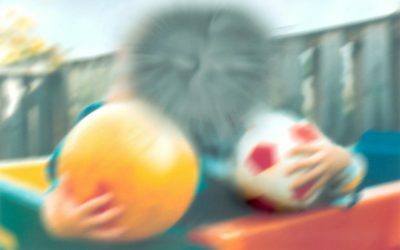 The Dry Macular Degeneration diagnosed when yellowish spots known as “drunsen” begin to appear on the macula indicating the deterioration of the tissue. The Wet Macular Degeneration is diagnosed when new blood vessels start growing beneath the retina leaking blood and fluid. The wet form of the disease will create dark blind spots in the central vision. Retinopathy or Retinitis Pigmentosa, is the most commonly occurring progressive, degenerative disorder affecting the retina of the eye. It especially affects the light-sensitive cells of the retina known as Rods and Cones. They send the information to the brain regarding every minute detail of your visualisation through the help of optic nerves. Retinitis Pigmentosa is characterized by the changes in the pigment due to resultant degeneration of optic nerves. This in turn is associated with thinning of retinal blood vessels as the demand for blood supply is lowered considerably. The predominance of this disorder is related to the genetic defect. It is believed that out of many genes responsible for normal eye functioning, one defective gene can cause this kind of retinal malformation. The surface of the eye is made up of thin, transparent dome called as the Cornea. The cornea covers the entire iris and the pupil. The first ray of light that is refracted from the image, strikes the cornea. Since the part is exposed, it is more prone to injuries. 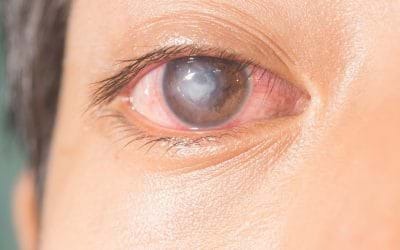 There are various reasons of eye injuries such as flying dust, a foreign object like metal or sand, a fingernail, an animal claw may cause a damage. A minor scratch or corneal abrasion may lead to corneal ulcers if unnoticed for a longer period of time. Patients suffering from Macular Degeneration are treated by implanting stem cells through retrobulbar or other effective modes to obtain maximum recovery. Advancells is excited by the prodigious prospects of stem cells in treating various diseases. Our principle objective has always been the stoppage of disease progress and easing the quality of life to a considerable extent in a non-surgical way. Our top priority is to provide a very comprehensive and tailor-made treatment pattern with the maximum recovery. Conventional treatments cannot restore vision, they may act as supportive therapies to delay the progression of the disease. Regenerative Therapies via Stem Cells have the potential to replace damaged cells. At Advancells, we offer the treatment which is completely autologous transplantation of stem cells isolated from your Bone Marrow and Adipose Tissue. The information guide covers every aspect of the disease that one should be aware of regarding the treatment of Eye Disorders via stem cells. Download the information pack today to understand in depth everything you need to know about Eye Disorders and the Advancells Stem Cell Protocol. 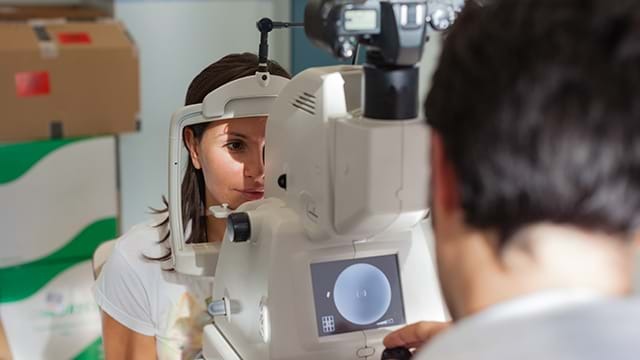 Many of the patients, who have undergone treatment with Advancells have reported significant improvement in their eyesight as well as eye movements. Their recovery has been very quick after treatment.